The quoted price is the lowest fare available during the promotional period and is subject to availability. Taxes and fuel surcharges total an additional USD14 per passenger per flight. AirAsia is a budget airline and additional fees apply for checked luggage, meals, advance seat selection, or online payment by credit card. Once booked, tickets are non-refundable and fees will apply for any changes. 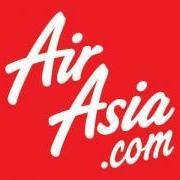 For more information or to make an online booking, visit the official Air Asia website at www.airasia.com. Reservations can also be made by contacting the AirAsia Indonesia call center at (62) 21 2927 0999 from 6:00am – 10:00pm local time.